YPSILANTI TWP. — John Maddox, the initial president and CEO of the American Center for Mobility, has left the testing ground for autonomous and connected vehciles after about two and a half years on the job. Maddox was named to the post in March 2016. He had been assistant director of the University of Michigan’s Mobility Transformation Center. No reason was given for Maddox’s departure, although a press release said the ACM “board … expressed their appreciation for the efforts of John Maddox in launching the organization.” An ACM spokeswoman declined further comment. 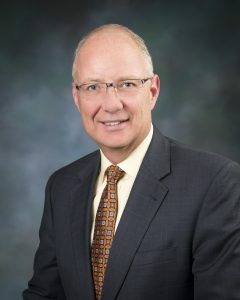 ACM officials also announced that Kirk Steudle, director of the Michigan Department of Transportation, will serve as unpaid interim president and CEO during a national search for a permanent replacement. ACM officials said Steudle is not a candidate for the permanent position. Steudle joined the MDOT after his 1987 graduation in civil engineering from Lawrence Technological University. He has served as state transportation director since 2006 under both Republican and Democratic governors. He oversees MDOT’s $4.7 billion annual budget, and is responsible for the construction, maintenance and operation of nearly 10,000 miles of state highways and more than 4,000 state highway bridges. Kirk Steudle. Michigan Department of Transportation photo. 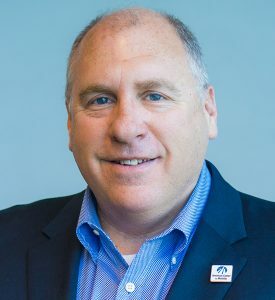 Steudle was president of the American Association of State Highway and Transportation Officials (AASHTO) from 2011 to 2012 and has been a member of the AASHTO Board of Directors since 2006. He also served as chair of the Intelligent Transportation Society of America Board of Directors and serving as a member of its Program Advisory Committee to the U.S. Department of Transportation. ACM is a joint effort of the state of Michigan, the Michigan DOT, the Michigan Economic Development Corp., the University of Michigan, Business Leaders for Mcihigan, Ann Arbor Spark, and Ypsilanti Township. It opened for testing of autonomous and connected vehicles in December and had a formal grand opening in April. ACM is situated on about 400 acres of the former Ypsilanti manufacturing site that was home to both the Willow Run bomber plant during World War II and various functions of General Motors (and earlier, the automaker Kaiser-Frazer). It features a 2.5-mile high-speed replica freeway, interchanges, boulevards, rural highways and urban streets for autonomous vehicle testing. The layout of ACM is pictured above. Construction has been under way this summer on garages for companies to store vehicles and test equipment at the site, as well as further test tracks. Corporate partners in the site include automakers Ford, Toyota, Subaru, and Hyundai, suppliers such as Visteon, and tech companies such as AT&T, Siemens, Microsoft, and Adient.